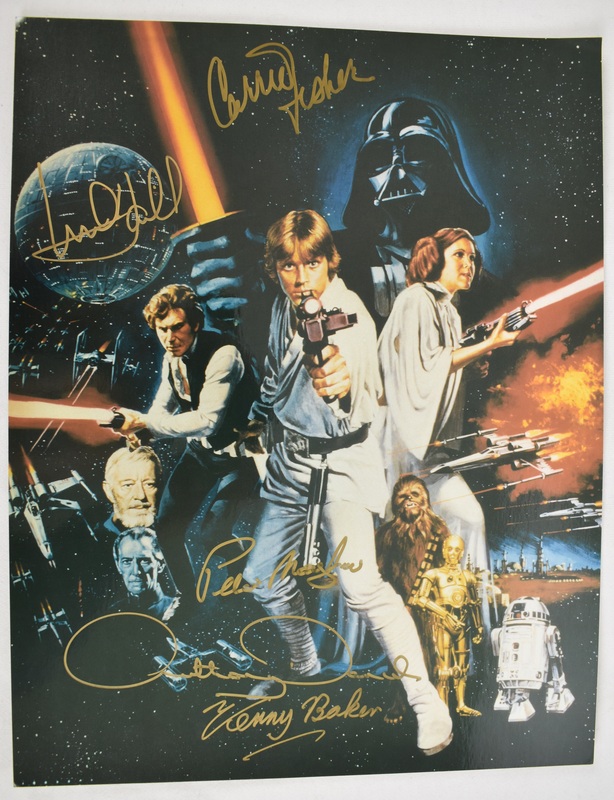 Rare Star Wars movie poster signed by key characters: Mark Hamill (Luke Skywalker), Carrie Fisher (Princes Leia), Anthony Daniels (C-3PO), Kenny Baker (R2-D2) and Anthony Daniels (Chewbacca). 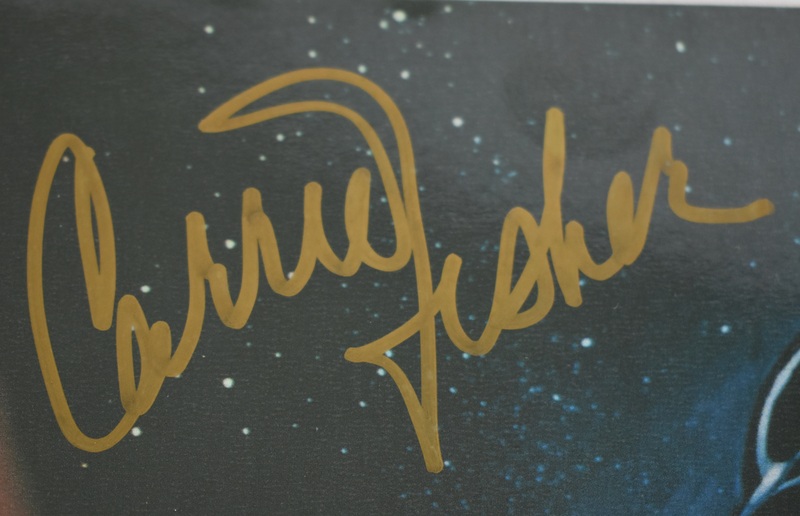 Each has signed in gold marker. These original Star Wars signed poster have all but dried up and are highly desirable among collectors. 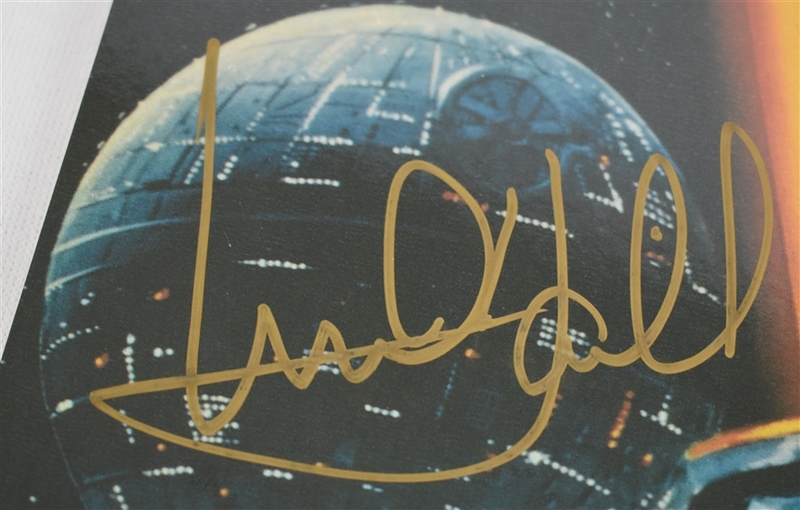 Star Wars was the first film in the original Star Wars trilogy and the beginning of the Star Wars franchise. The film focuses on the Rebel Alliance, led by Princess Leia (Fisher), and its attempt to destroy the Galactic Empire's space station, the Death Star.